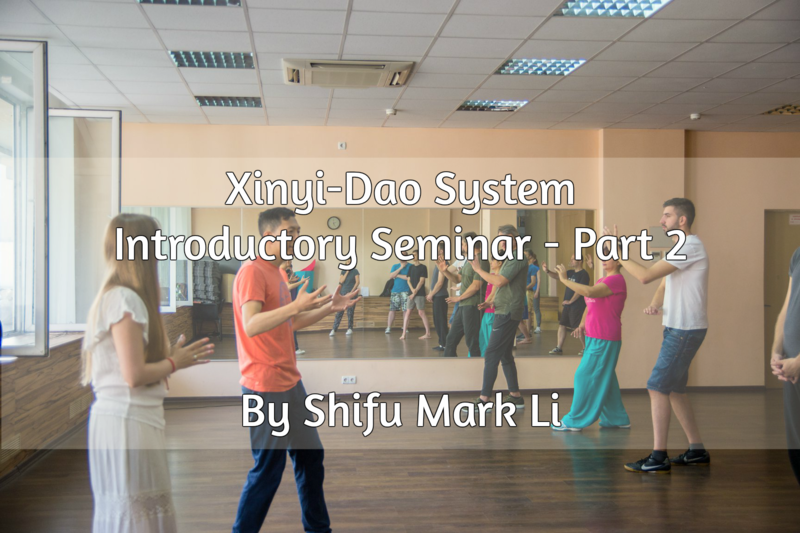 Xinyi-Dao class started in Manhattan, every Monday morning from 9:00a.m. to 10:30a.m. 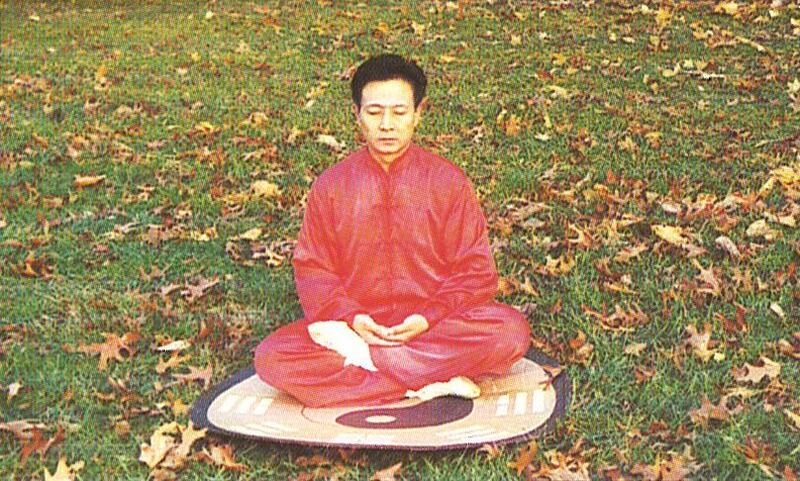 at Hari NYC, taught by Shifu Mark Li. 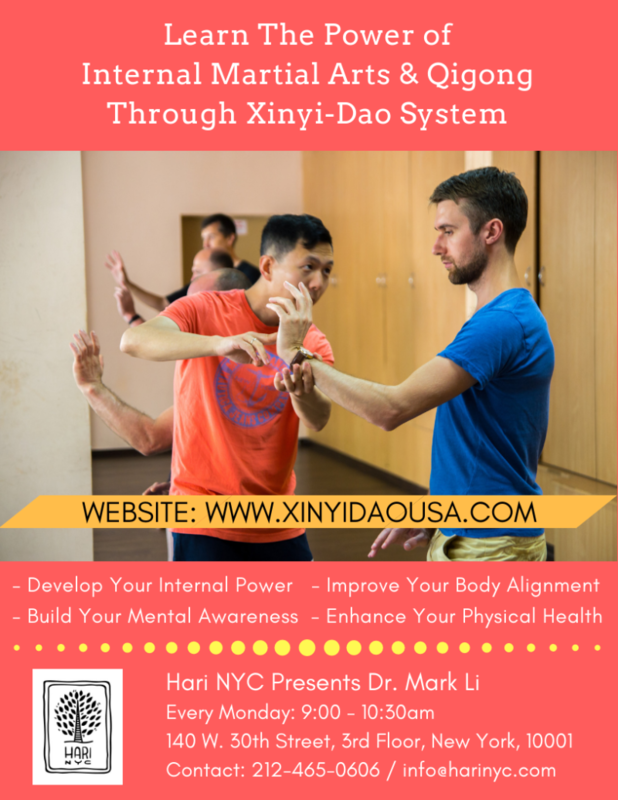 The focus of the class is to use Xinyi-Dao system to help students develop internal power, proper body alignment, mental focus, and as a result, to enhance students’ health and fitness. 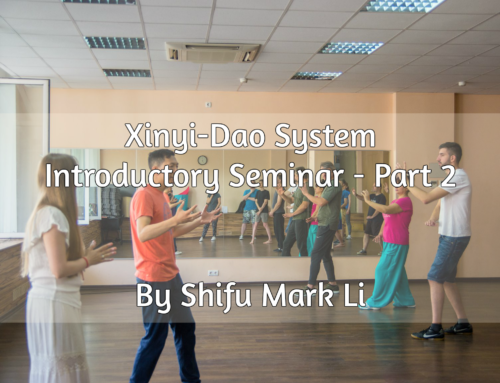 In addition, the class will provide students the physical and mental knowledge on applying effective and practical martial arts techniques for self-defense using the unique body method developed through the Xinyi-Dao system. 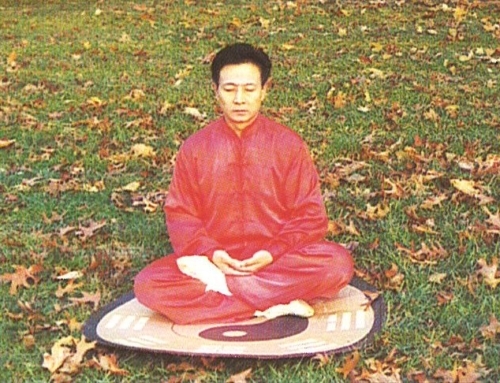 For more information please contact: 212-465-0606 or info@harinyc.com.